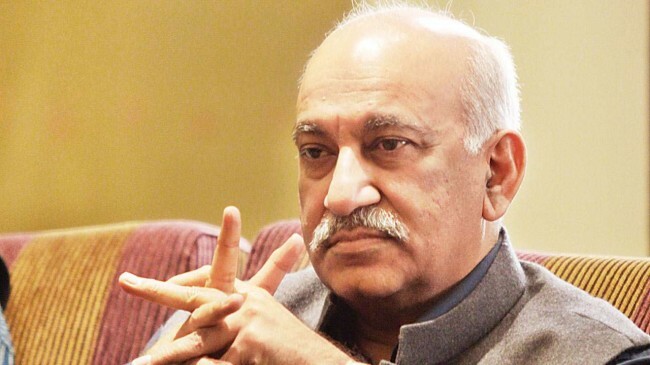 New Delhi, Oct 17 (IANS) Women journalists who levelled allegations of sexual harassment and molestation against former editor M.J. Akbar on Wednesday expressed their happiness over his stepping down as the Minister of State for External Affairs. Journalists Priya Ramani, who was the first to go public with her accusation against the former editor and is facing a defamation suit filed by Akbar, said she was “vindicated”. Over a dozen journalists have accused Akbar of sexual harassment and molestation. He filed a defamation suit against Ramani alleging that “scandalous allegations” have been made to bring down his image in society. “On #MahaAshtami Devi Durga slays the demon? #MJAkbar gone….” tweeted journalist Saba Naqvi who had called Akbar a “predator”.